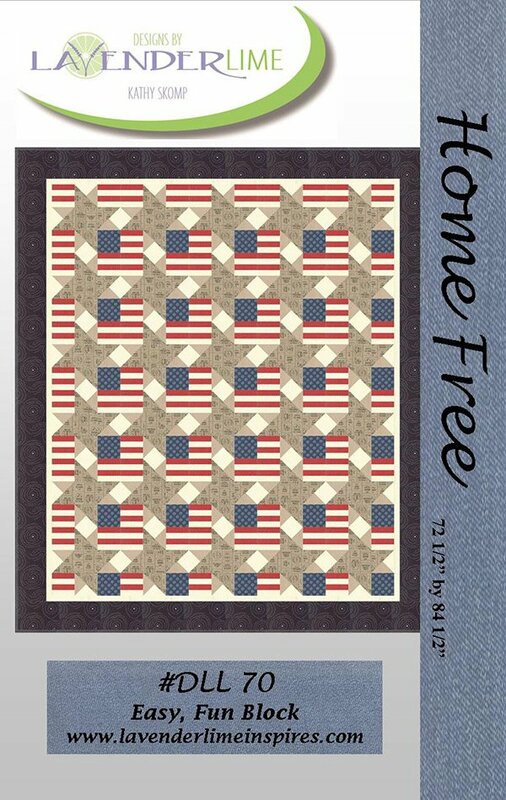 Home Free by Kathy Skomp for Lavender & Lime DLL70. On Sale Now. Quilt Size 72-1/2" x 84-1/2". Yardage Friendly. Features Freedom fabric collection from Moda.